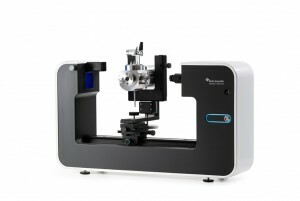 The versatile Theta Flex Optical Tensiometer (also known as a goniometer, contact angle meter & drop shape analyser) allows highly accurate and easy characterisation of both solids and liquids. 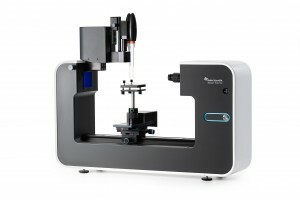 The instrument offers all measurements in one instrument and is designed for reliable and repeatable measurements of wettability and adhesion, even in the most demanding industrial and research applications. 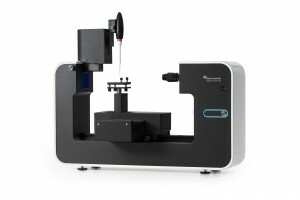 Theta Flex is able to perform a complete range of automated or manual measurements which makes it a highly versatile instrument in Research, Industrial and Quality Control laboratories. Measurements include static contact angle with the sessile drop, captive bubble and meniscus methods, dynamic contact angle with the tilted drop and sessile drop methods, surface free energy, surface/interfacial tension with the pendant drop and reverse pendant drop methods, 3D surface roughness with the Fringe projection phase shifting method and interfacial dilatational rheology with the pulsating drop method. The Theta Flex contact angle meter enables you to choose the level of automation that you require for different applications. Starting with a basic frame, the versatility of the instrument has a high degree of modularity and an extensive range of accessories that allow you to upgrade or change the instrument as your needs evolve. With optional motorised sample stage, motorised vertical movement and a choice of dispensing systems, Theta Flex can function in a fully automated mode, placing drops in predetermined locations on the substrate and measuring the contact angles. Fully automatic measurements avoids user variation and saves time. Automatic base line detection and drop shape fitting. Contact angle on curved surfaces (circular or near-circular). Flexible and programmable frame per second rate recorded by the camera. For a breakdown on the technical specifications of the complete Theta Flex product range, please click on the Downloads tab below. Click on the video tab also for an overview of how the instrument works. 2GHz processor, 2GB RAM, 120 GM hard disk drive*, 1920 x 1080 resolution, 1 USB3 port, 1 additional USB3 port required with 3D topography module. * SDD hard disk (min. 500 MB/s) needed for high speed recording with high resolution. Windows 7 & 8 & 10 (32 or 64 bit). Contact our Sales Team directly to discuss your individual requirements. See typical configurations below & refer to the product brochure. 3D Topography Module: Roughness-corrected contact angle measurements automatically with a single click. For studying the effect of surface roughness to contact angle results. High Pressure Chamber: Enables measurements at pressures up to 400 bars and temperatures up to 200°C. Designed for enhanced oil recovery and super-critical fluid applications. Pulsating Drop Module – PD 200: Oscillates drop volume for interfacial rheology studies. 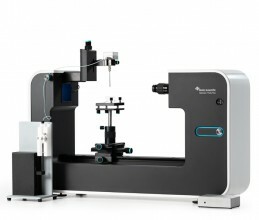 Tilting Cradle: For fully automatic dynamic contact angle and roll-off angle measurements by the tilted drop method. Environmental Chambers: To control the measurement environment including the temperature. Please contact our sales team to discuss your individual requirements.